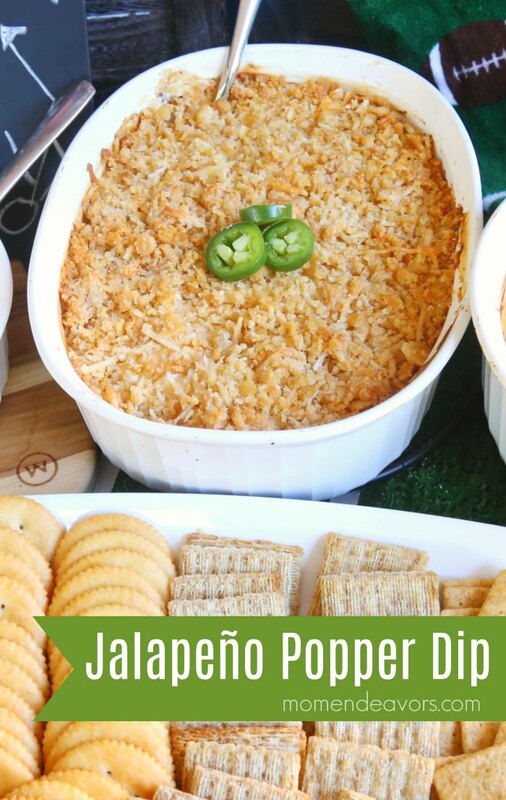 This cheesy, delicious jalapeño popper dip is sure to be a win at your next football tailgate or party! Are you ready for football season?! We are! College Football Saturdays in the fall are a tradition for us! We love watching the games, eating fun food, going to and hosting fun tailgating/homegating parties, especially when we’re cheering for our Huskers! You can expect to find some fun football ideas here throughout the fall. 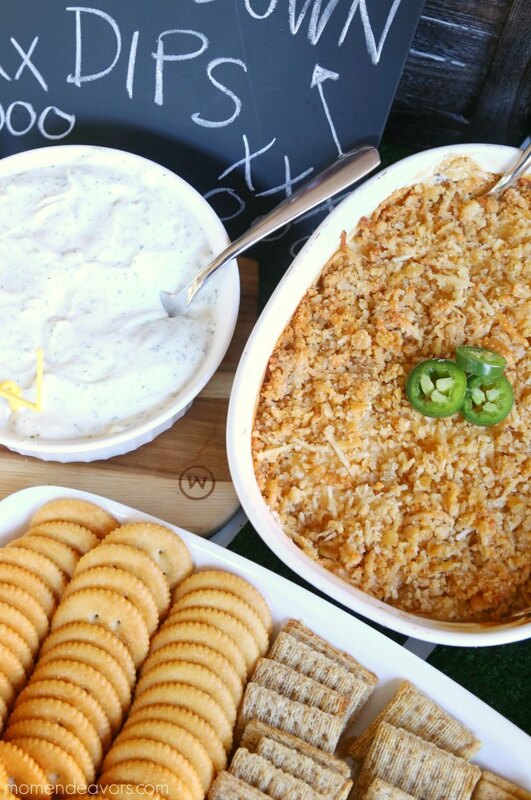 So, we’re kicking off this season with this tasty jalapeño popper dip recipe! Mmmmmm! It’s SOOooo good! We’ve made it before as part of a whole touchdown dips bar (which is a SUPER easy thing to do for a football party by the way)! 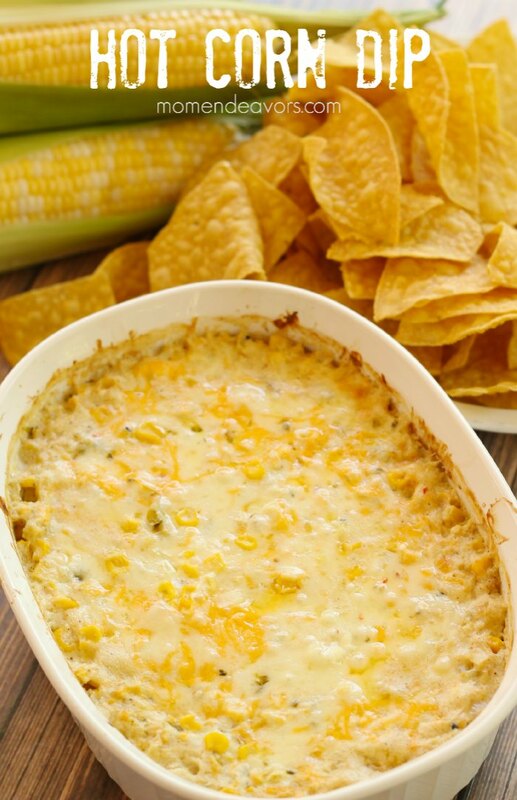 The dip is cheesy with a kick and the crushed crackers makes the tasty, crunchy topping on this is extra tasty! 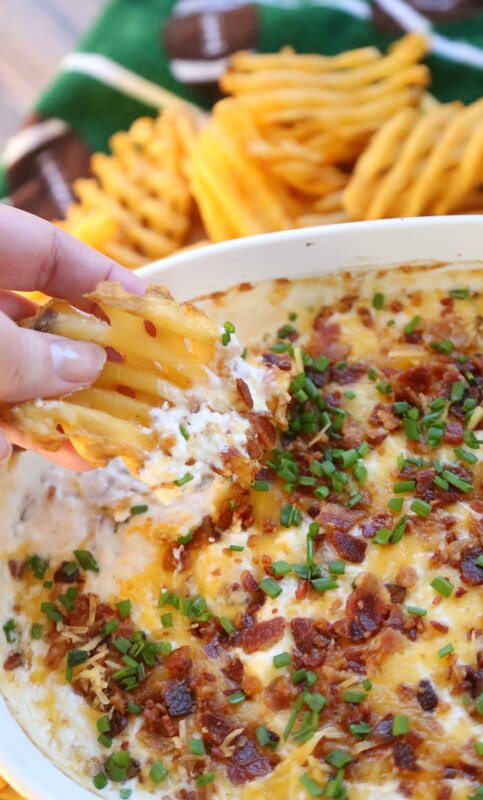 And not only is it delicious, but the dip is SO easy to make! A definite WIN for sure! 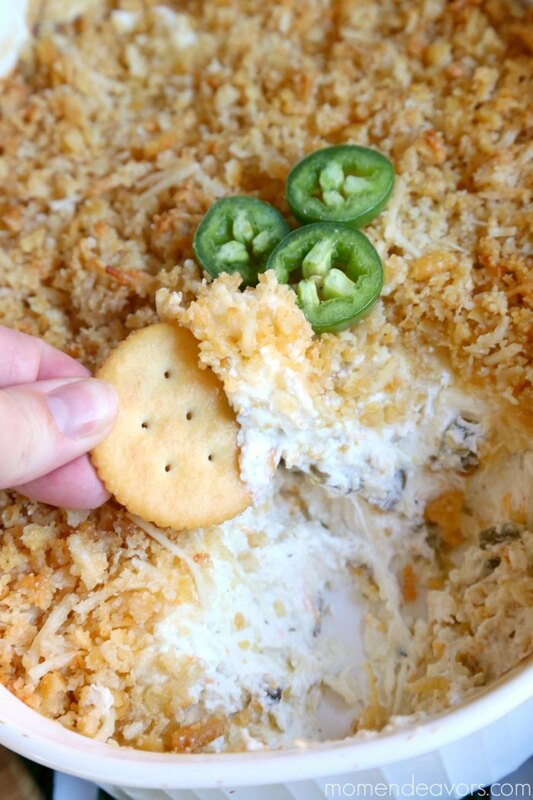 Creamy and delicious with a kick, this Jalapeño Popper Dip is sure to be a hit. 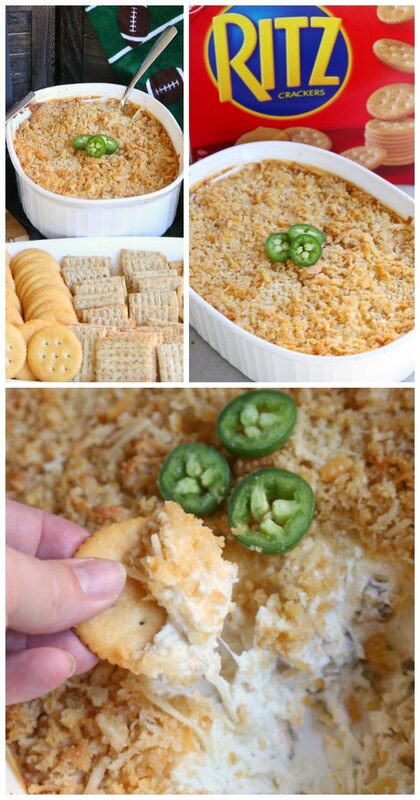 In a baking dish, combine the cheeses, sour cream, jalapeños, and garlic powder. Mix until well-combined. In a small mixing bowl, combine the crushed RITZ, Parmesan cheese, and melted butter. Then, sprinkle that over the cheese mixture. Bake for approximately 20 minutes, until the topping is golden and the cheese is bubbly. Serve warm with crackers or veggies! I happen to think it’s great with celery! 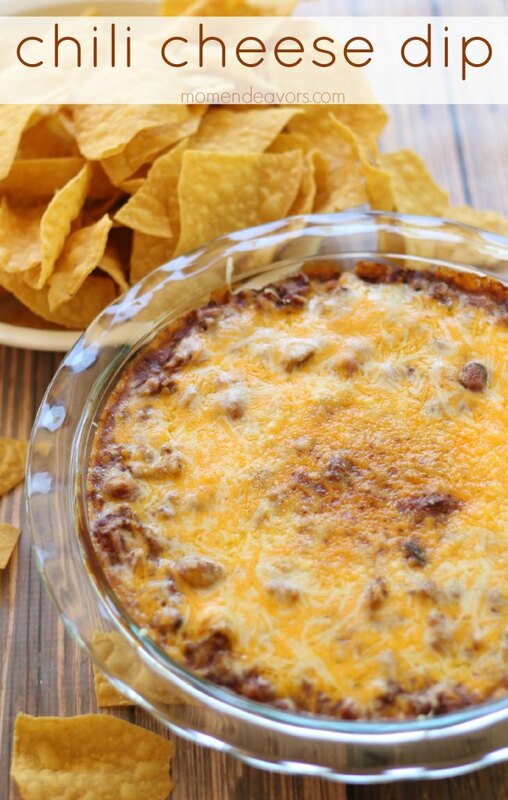 What’s YOUR favorite game day dip? « Fun FREE Back to School Printables!